–www.blue-kitchen.com, November, 2011; also as excerpted on the Christian Science Monitor website. Here is authentic French cooking without fuss or fear, the way real French families eat today. Now that the typical French woman, the bonne femme of the title, works outside of the home just like her American counterpart (and now that French men, like their American frères, are often in charge of getting dinner on the table), the emphasis is on easy techniques and speedy preparation. 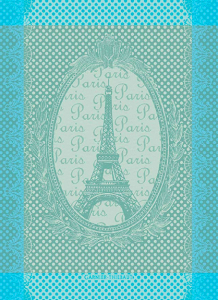 Wini Moranville draws on years of traveling to and living in France and serves up a hip, user-friendly volume that brings a wealth of up-to-date French recipes and time-saving techniques seamlessly into the American kitchen. In a voice at once wise and lighthearted, Moranville offers 250 recipes that focus on simple, fresh ingredients prepared well. 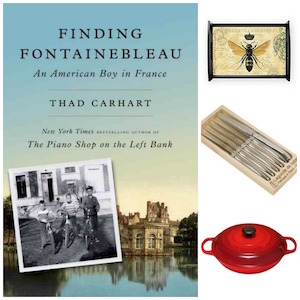 Two main-dish chapters, “Sauté, Deglaze, Serve” and “Stew, Roast, Braise,” show readers how to turn out robust and delicious entrées in a genuine French style with ease. Soupes that range from the light to the substantial, salades from a simple Goat Cheese Salad Classique to a complex Swiss Chard with Roast Chicken, Apples, and Blue Cheese, and desserts from a foolproof little crème brulée to cakes and cookies and tartes and crêpes round out the picture. In her recipes, wine suggestions, tips and shortcuts, and sidebars brimming with local color, Moranville gives French cooking an accessible, friendly, and casual spin. The Bonne Femme Cookbook is now available! For those who struggle to find enough time to craft an inspired dinnertime meal without slaving for hours, this simple and delicious approach to French home cooking allows even the busiest people to taste joie de vivre. This book is long on charm and short on complicated recipes. 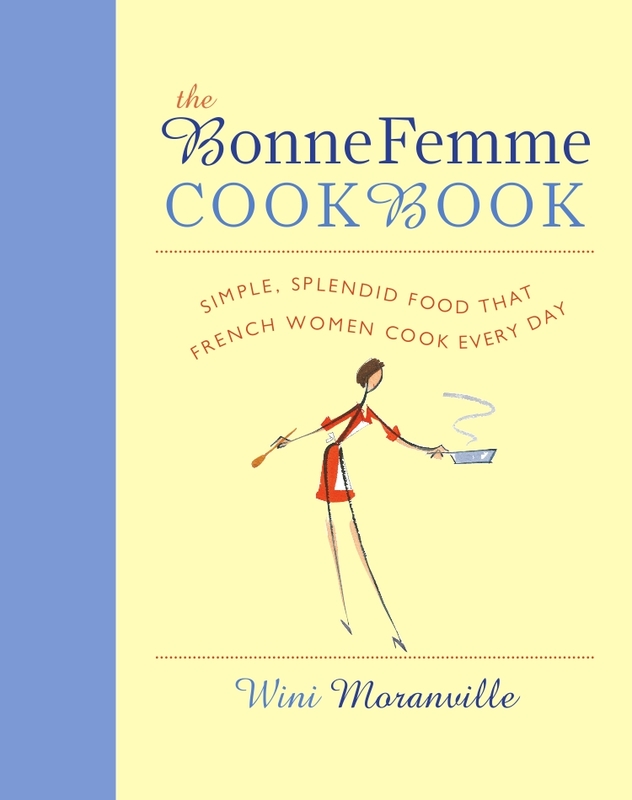 Wini Moranville…dispels the notion that French women come home at night and cook elaborate meals with a pound of butter. Even for the French, it’s about fresh, healthy and fast. They use boneless, skinless chicken breasts; make a pan sauce for almost any dish; stock their pantries with olives, capers, lemon and Dijon mustard; and partake in the everyday pleasure of eating cheese. Moranville’s good writing and anecdotes (such as ordering an aperitif is the secret password to getting a good meal at a restaurant) are an added bonus. This book is more than just a cookbook…Wini adds in delightful stories of her own experiences living and eating in France, as well as many useful tips covering everything from French meal planning to how to poach a meringue. All of these engaging tidbits are sprinkled around the recipes along with some lovely, whimsical drawings (by the illustrator Nishan Akgulian) – making this a fun book just to sit down and read. I have tried a dozen or so recipes and they have all worked. And what’s more, they were pain free. –La Marmite, a food blogger in France, on the Easy French Food website. Also recommended by Sheryl Julian, Food Editor of the Boston Globe, in the Holiday Cookbook Guide on the WGBH radio website in Boston. 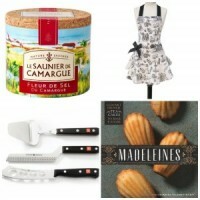 8 French Grocery Store Favorites | Adam and Molly Go . . .